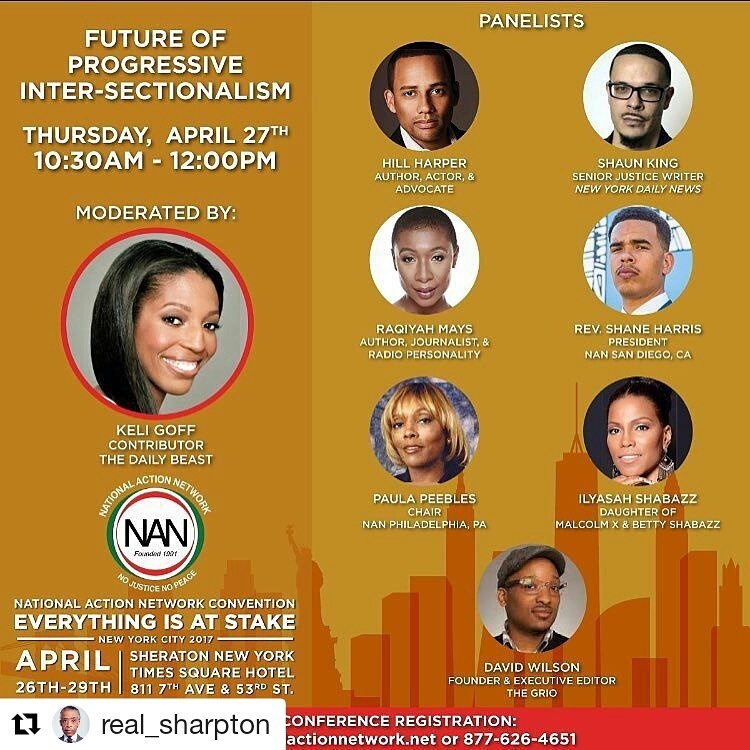 This entry was posted on April 26, 2017 at 1:24 pm and is filed under Black Lives Matter with tags #NAN2017, Hill Harper, Ilyasah Shabazz, Keli Goff, NAN, National Action Network, Panels, Raqiyah Mays, Rev. Al Sharpton, Shaun King. You can follow any responses to this entry through the RSS 2.0 feed. You can leave a response, or trackback from your own site.